Joined my cousin on her travel with college friends on a Holy Week in Daet. Seen on the streets were people who believed that imitating what Jesus Christ went through is a form of repenting from the sins they have committed. 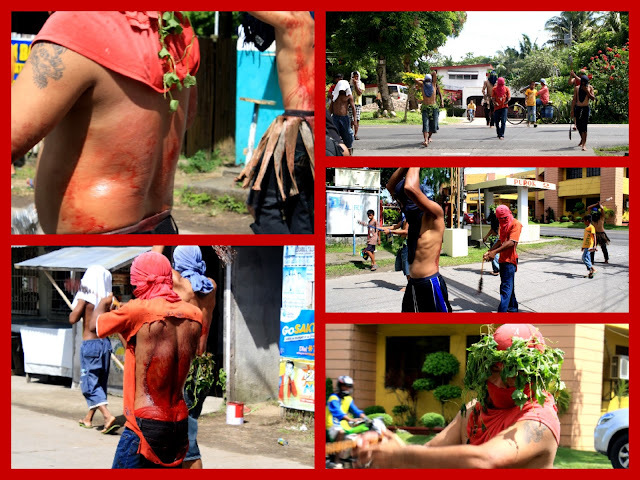 This has been part of the Filipino tradition seen in different provinces during Holy Week. To get to Daet, it is an 8-hour travel through bus. We rode in DLTB in Pasay City. There are several beaches in Daet like Bagasbas Beach and Cayucyucan Beach but the most popular one is Calaguas Island. 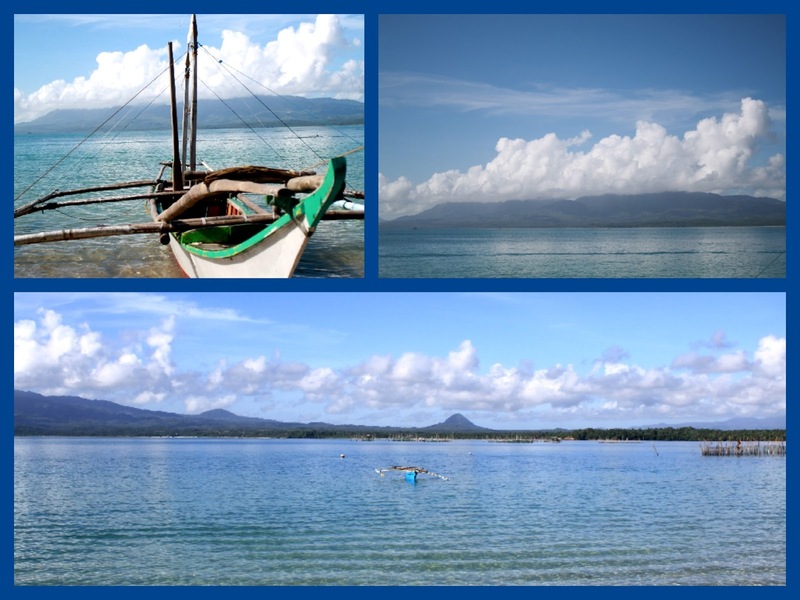 To get here, ride a trike and ask driver to take you to Bagasbas beach. 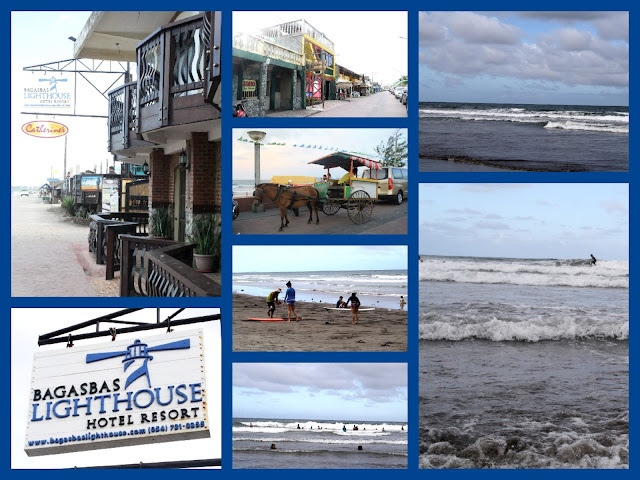 It is just a short trip from Daet proper. From Daet proper, ask the trike to take you to jeepney heading to Mercedes. 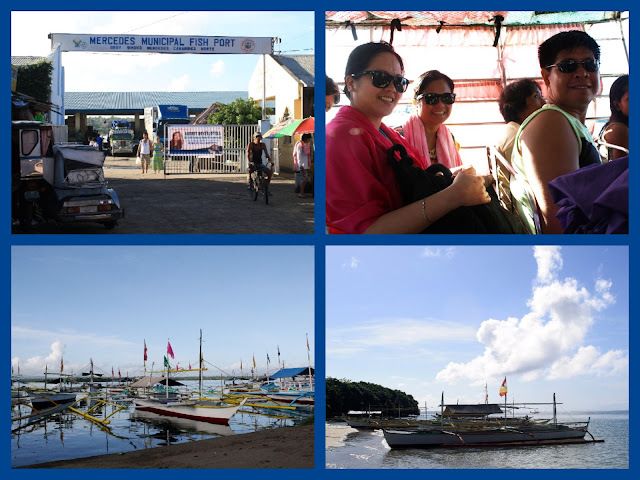 From Mercedes Fish Port, you will ride a boat costing P10 to get to Cayucyucan. Just make sure that you don't have motion sickness because it is really quite a scary and wavy ride. Every little movement of any passenger can give a scare on everyone because the boat is really wiggling. Good thing that I only have to endure it for 5 minutes. 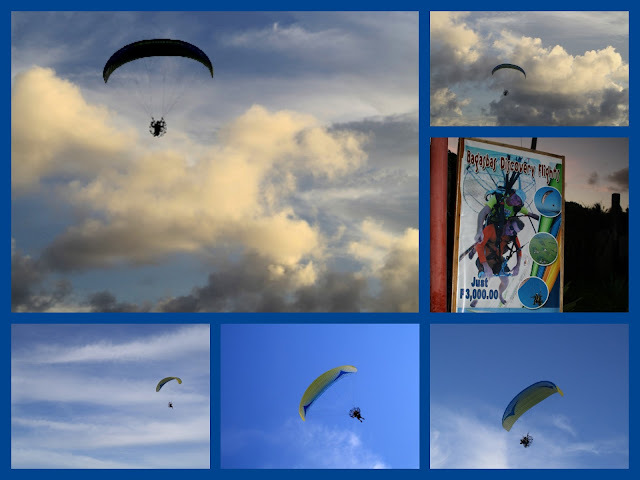 You will again ride another trike which would take you to Cayucyucan Beach. There are several resorts and cottages that you can choose from but we opted to bring our own food and had our picnic near the shore. Just make sure that you clean as you go. Cayucyucan Beach has a very scenic view. It is one of the best beaches that I have been to. 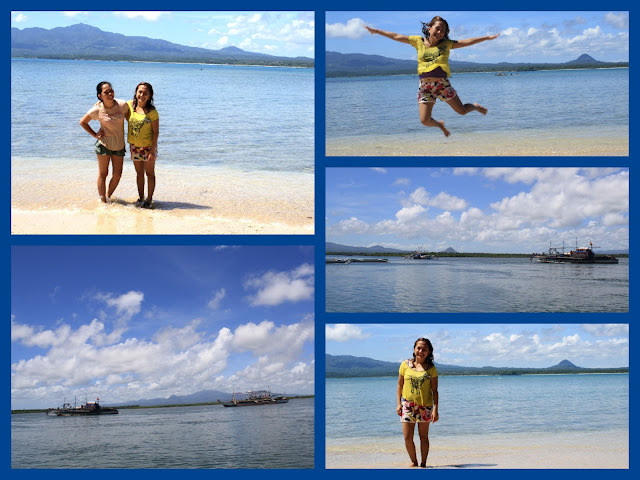 After having a nice time in Daet, my cousin and I decided to visit our hometown in Albay. 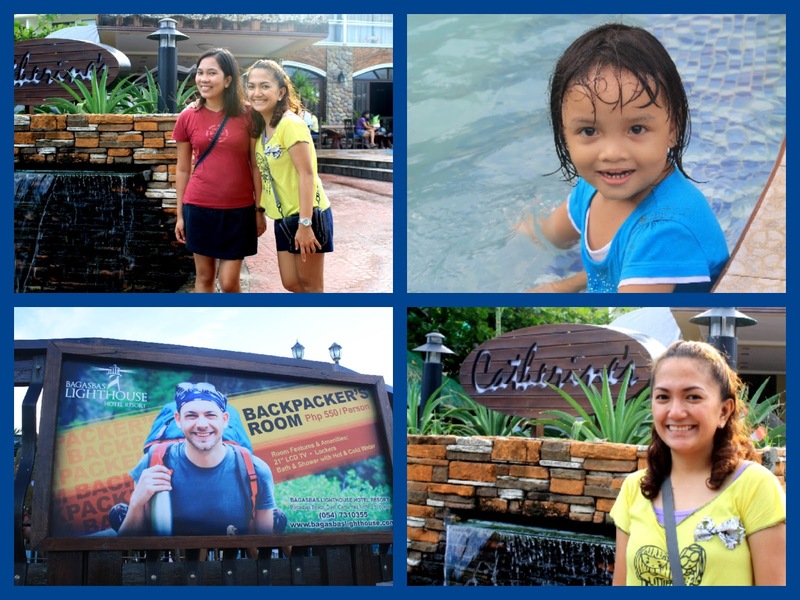 Since it was Holy Week, transportation was quite difficult but we managed to reach our destination. From Daet, we rode a van which took us to Naga. From Naga, we headed to the terminal infront of SM Naga and rode a van going to Tabaco City. The travel time took longer than the usual because of a lot processions that we encountered along the way. From the typical 4-hour travel, it took us about 5 hours from Daet to Tabaco. After this travel, I got sick of riding buses and vans for about a week hahaha. 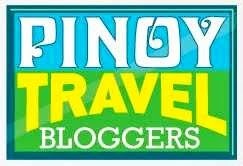 Adding our bus travel from Tabaco as we head towards Manila which took about 10 hours of travel.